The governor of the state of Rio de Janeiro (where the Cidade Maravilhosa is located) is in the U.S. Today he spoke at the United States Chamber of Commerce in Washington D.C. where, according to the Jornal do Brasil, he spoke of the huge amount of investment his state is attracting, claiming that more than $111 billion will be invested in the state of Rio over the next three years, some he says is more investment money per “square kilometer” than in any place in the world. Indeed, scenes like this are supposed to become a thing of the past here. Brazil plans more than $1 trillion in construction projects this decade to bring its woeful airports, roads and other infrastructure up to date — an ambitious building boom that will prepare the country to host the 2014 World Cup and 2016 Olympics, provide a bonanza of opportunities for foreign investors, and secure Brazil’s place among the world’s most dynamic emerging economies. In reality, expectations are coming unraveled — fast. Brazil’s grand infrastructure plans now seem likely to fall well short of President Dilma Rousseff’s ambitions, according to a Reuters investigation of major building projects and interviews with nearly two dozen senior political leaders, investors, government watchdog groups and others. I’m a big fan of Brazil in general and Rio in particular. I hope the Governor is right, but that Reuter’s story is disturbing. Libya contributed hundreds of the fiercest foreign fighters to Iraq’s al Qaeda-led insurgency. Should Washington be worried that it’s now backing these guys against Qaddafi? So what’s the difference between slavery in the pre-Civil War U.S. and a foreign policy that would prop up a dictator like Mubarak or the Shaw or Marcos because he was friendly to U.S. interests in the region, even though he abused the people of his country? To my mind, in both cases innocent people were being severely abused, even killed. In both cases, people in power ignored the abuse because it benefited their interests. In both cases, the people in power had the resources to stop the abuse. I wonder which story attracted more readers? Consistent with its statutory mandate, the Committee seeks to foster maximum employment and price stability. Currently, the unemployment rate remains elevated, and measures of underlying inflation continue to be somewhat low, relative to levels that the Committee judges to be consistent, over the longer run, with its dual mandate. The recent increases in the prices of energy and other commodities are currently putting upward pressure on inflation. The Committee expects these effects to be transitory, but it will pay close attention to the evolution of inflation and inflation expectations. The Committee continues to anticipate a gradual return to higher levels of resource utilization in a context of price stability. 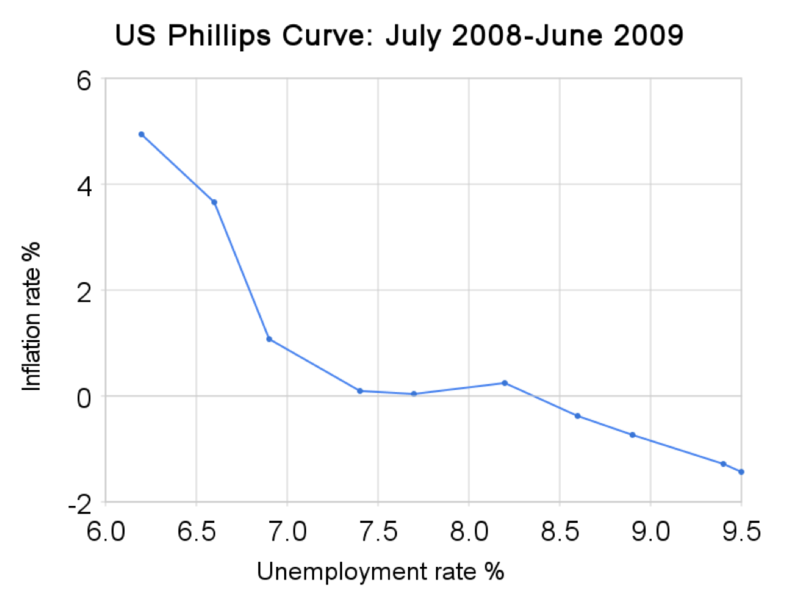 What they’re talking about here is the Phillips Curve, which says that with low inflation comes high unemployment. Conversely, higher inflation brings lower unemployment. In the present case, the FOMC doesn’t think the upward pressure on inflation will be lasting; thus, the committee anticipates that the employment picture will improve, but only gradually. And, it appears, that improvement will will not come because of an increase in the federal funds target rate–not anytime soon anyway. So asks Sally Quinn in The Washington Post’s “On Faith” section. The short answer is, of course, no. The longer, much more enlightening answer is here. Ten Economists, One Opinion: The Time to Cut the Deficit is Now! Ten former chairmen and chairwomen of the Council of Economic Advisors have joined in a statement that calls on Congress and the President to step up and get to work on the important task of cutting our monstrous deficit. There are many issues on which we don’t agree. Yet we find ourselves in remarkable unanimity about the long-run federal budget deficit: It is a severe threat that calls for serious and prompt attention. You can read more here, but there is one thing missing from both their statement and the Bowles/Simpson report they refer to: What can Congress and the President do to regain the trust they’ll need to pull this trick out of a hat? I’m all for deficit reduction. I’ll even sign on for tax increases. But I will not agree to those increases unless and until Congress and the President show me that they are serious about cutting spending and that they will use the tax increases to cut the deficit rather to spend. Jason Mitchell has an interesting story in Institutional Investor about the role of private equity in Brazil’s resurgence. It caught my eye because I served a two-year mission for my church in Brazil many years ago and fell in love with the country. My wife and I returned for a visit in February 2008 and hope to return again soon. 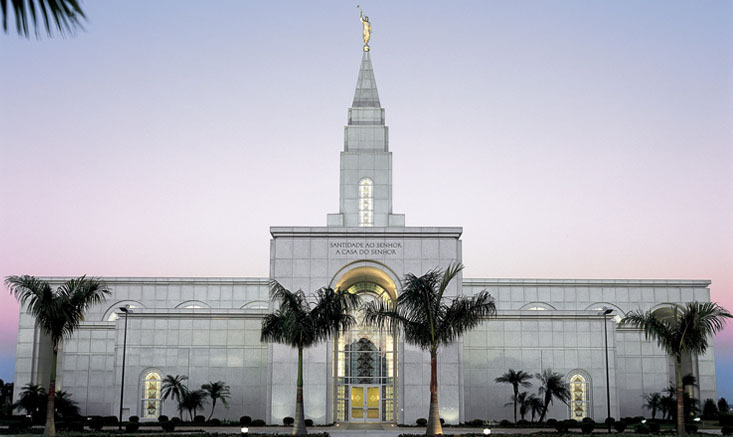 In fact, my mission president has invited us to serve with him and his wife in the Campinas Temple. Whether we’ll be able depends on a lot of things happening. We’ll see. Hey, I’ve been out of the blogging business for most of this month. Some malware infected this and some other sites I own, and I haven’t had the time (largely because I don’t have the smarts) to fix things. My time should free up in a week or two. In the meantime, I ask any readers (reader?) out there to be patient. I’m having malware problems. Who has time to fix these things? I don’t. Who has time to create them? Twits do. Extraordinarily twitty people.